Standard colors: transparent, translucent smoked grey, glossy white, glossy dove grey. Fire-retardant colors: transparent. Made of polymer with high thermal resistance and low flammability. 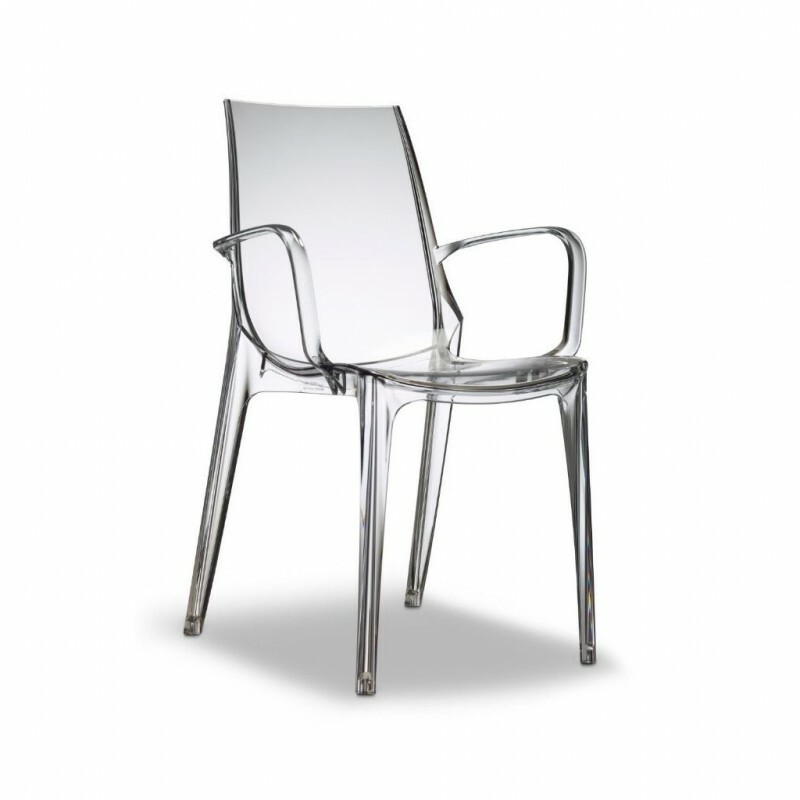 Vanity is an elegant chair with armrests that can be used both in interior and exterior furniture. Characterized by a fresh and contemporary design and by soft and refined shapes, the Vanity chair, is the right solution to enhance any environment, from the kitchen to the living room, from the terrace to the exclusive restaurant. In fact, Vanity is ideal for both private and contract projects. 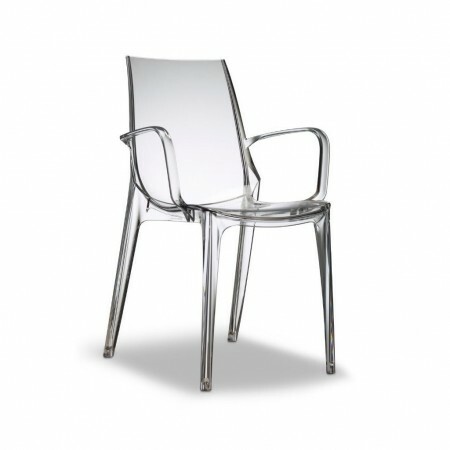 Extremely comfortable, Vanity chair transform environments with a touch of class. Made by polycarbonate shell with unalterable surface, does not undergo nicks or scratches, stackable. Also available the Vanity model without armrests, see below in related products.